In our Newsletter No. 217 July 2014 there was an article about Benjamin Oliver Wallis who was a prominent Eltham resident, publican and Councillor during the second half of the nineteenth century. He owned the house that is now the Nillumbik Living and Learning Centre at 739 Main Road Eltham. The article concluded by indicating that further research was required on Wallis’ ownership of the Eltham Hotel. That previous article followed an enquiry from Christopher Wallis, a resident in Germany and it transpired that Benjamin Wallis was a member of the same family that came from the Cornish village of Newlyn. Christopher Wallis has now provided the results of his research complete with reference sources and it includes significant additional information on Benjamin Wallis and his connection with the Eltham Hotel. What follows here is summarised from Christopher Wallis’ article, which starts with the background of the Wallis family in Cornwall where Benjamin trained as a mason and built a number of houses. He migrated to Melbourne in 1853 but his wife and children remained in Cornwall for a further 10 years. Later in 1853 Richard Warren engaged Wallis to build the Eltham Hotel and it opened in 1854 or 1855. The Fountain of Friendship Hotel on the opposite side of Maria Street (Main Road) opened at about the same time. In 1858 Warren fell into financial difficulties and had to sell the hotel. Wallis bought the hotel and obtained a publican’s licence in 1861. In the 1850s the Fountain had been the more popular hotel but after that the Eltham Hotel became more popular. The article argues that in about 1857 Wallis probably built the “Living and Learning house” for tanner John Pearson. In 1868 Pearson became bankrupt and Wallis acquired the house and he lived there until his death in 1896. For some of this time the house was in the name of Benjamin’s son Richard but he died in 1888 and ownership reverted to his father. Much information is provided about Wallis and his family and especially his standing in the Eltham community. He was a member of the Eltham Jockey Club and in 1867 his wife Anna rode her horse Charlotte in the Annual Races. Anna was also an angler and is reported to have caught a large perch in the Yarra River. She died in 1887. On 16th September 1886 Wallis sold the hotel to Christopher Watson (Snr). Watson died in 1887 and the hotel passed to his son Christopher Watson (Jr) who owned it for many years. It eventually passed to his son Herbert. Our Society records have to date not recorded the fate of the original Eltham Hotel although diligent research of the local press would have answered this question. Assumptions have been made that the hotel gradually evolved from that building to the present day complex. However Christopher Wallis’ article and other recent research by Alan Sheehan shows that the hotel was demolished in 1925 when Herbert Watson was still the owner. A new hotel was built that included the façade currently standing at the corner of Main Road and Pitt Street. Many subsequent extensions have completely changed this hotel from its beginnings in the earliest years of Eltham’s development. Our March meeting each year is the Annual General Meeting, which includes the presentation of annual reports and the election of office bearers for the coming year. The official notification of the Annual General Meeting and the agenda is contained on pages 6 and 7 of the March Newsletter, Issue #221. Copies are available by request from edhs1@bigpond.com. At this meeting Jim Connor will speak about ‘World War 1 – Eltham Connections’. He will look at the lives of some people with connections to the former Shire of Eltham who contributed to this war effort, either as soldiers, nurses or in other roles. As many young men from our area lost their lives during this conflict it is considered to be a relevant topic given the increasing interest in this war and being close to ANZAC Day, 25th April 2015; one hundred years from the landing of Australian forces at Gallipoli. Belle Vue farm comprised about 56 ha (140 acres) extending northerly from the northern boundary of Holloway’s 1851 Little Eltham subdivision. On the present day map the southern boundary was just north of Elsa Court and Grove Street. The western boundary was the Diamond Creek and extended northerly to Main Road where it turns easterly towards Research. It was traversed by the main road to Kangaroo Ground and beyond and from 1912 by the railway to Hurstbridge. From 1895 the farm was owned by William Williams and his wife Mary Ann. In 1914-15 they built a new house now known as “Belle Vue”. They sold the land in 1920 and residential subdivision began soon after that. “Belle Vue” today remains on a large residential lot in Livingstone Road. The house and many old trees on the site have been subject to a heritage overlay under the Nillumbik Planning Scheme. Despite that overlay most of the heritage trees have been removed. For our excursion on 7th March we intend to walk through the former farm area that is now a residential neighbourhood. The route will include views of “Belle Vue” and a number of other interesting houses and features of historic interest. This walk is about 3.5 km in length and will take 2 to 2.5 hours. It will start at 2pm at the northern end of the Eltham railway station carpark in Main Road opposite Luck Street. (Melway ref.21 K4). This free walk is open to the general public as well as Society members. Dogs are not permitted on Society excursions. The phone number for contact on the day is 0409 021 063. The following article and images were originally published in The Australasian newspaper on 2 May, 1903. We thought that it makes interesting reading and an insight into early Eltham. The village of Eltham, with its 377 inhabitants, is prettily situated on the Diamond Creek, a tributary of the Yarra, 16 miles from Melbourne. Yet, in spite of it being so easily accessible from town, few people are aware of the beauties of this early settlement. Prior to June last year one had to journey by coach from Heidelberg to Eltham, but now the railway conveys passengers through from Melbourne to Eltham, first-class return, for 1/9. The opening of this extension to Eltham was the last ceremony performed by Lord Hopetoun, on June 5, 1902, prior to his departure from Australia. Sauntering through the township one autumn morning recently I was constantly reminded of scenes characteristic of Surrey or Sussex villages. the drapery store, and the butcher’s shop, all seemingly as they were when first they were erected many years ago. fruit trees on the slopes of the creek denote the near approach of winter. Orchardists were taking advantage of the recent rains, and were busy ploughing and harrowing between the trees, while the magpies and other birds were picking up worms and grubs on the newly-turned soil. The busy time for Eltham is the holiday season, and then the inhabitants are put to their wits’ ends to provide for the rush of picnic parties, cyclists, and other excursionists. Outside almost every cottage is a notice stating that “summer drinks and hot water” are obtainable. Eltham District Historical Society Inc is excited to announce the launch of our new online presence; spearheaded with a major upgrade to our website and a new domain name URL, www.elthamhistory.org.au. We hope you will find it a refreshing modern update; easier to navigate and quickly locate newly added material and featured content. The site now also has the ability to easily share content with your friends via social media connectivity buttons as well as the capability for providing feedback and comments. To complement our new website and further extend our online presence, we have also established a new Facebook Community Organisation page, Eltham District Historical Society Inc, as well as a new presence on Twitter, @ElthamHistory – EDHS. 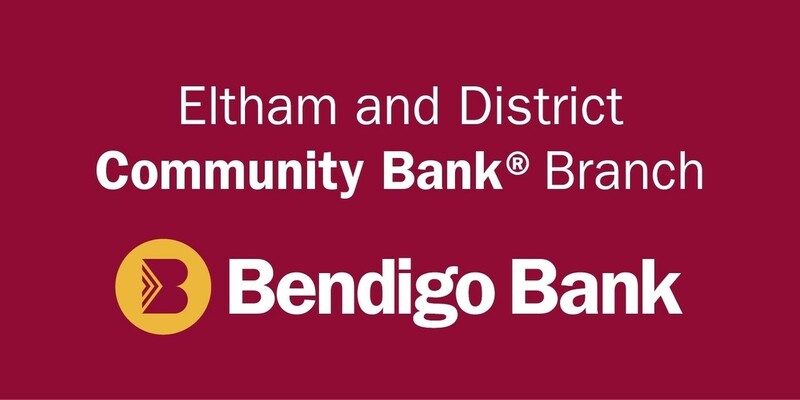 We hope you will feel free to share with us your own family stories of people, places and life in the Eltham district. History is not the stories told by others but the stories told by us. Visitors and new members are always welcome to our meetings and events, so please come along and don’t forget to like us on Facebook and follow us on Twitter. The Premier, the Hon R. J. Hamer, opened the building now known as the Eltham Community and Reception Centre on 22nd April 1978 but what is the history of the area? Henry Dendy (of Brighton fame) once owned part of the site of the current building. It occupies lots 275 and 276 of Holloway’s 1851 subdivision, which he called “Little Eltham”. Dendy purchased Lot 275 in 1856 from Charles Wingrove and Alfred Armstrong, who probably purchased the land from Holloway. Wingrove in 1858 became Secretary of the Eltham District Road Board, a position he held for many years, whilst Dendy became a member of the Board and served one term as its President. Dendy also purchased lots 277 to 281 on the opposite side of Maria Street (now Main Road) and extending between Pitt and John Streets. The whole of his purchase was about 5 acres. Lot 275 contained a steam flourmill near the Diamond Creek whilst Dendy lived in a house at the front of the land. Dendy’s wife, Sarah, died at Eltham in 1860, aged 57 years. Also in that year Dendy was appointed Chairman of a committee to establish a Church of England in Eltham and he generously donated half of one of his Pitt Street lots for this purpose. St Margaret’s Church was opened on this site and has recently been extended, which included removing the rear ‘temporary’ wall. The old vicarage is now named Dendy House. In 1867 Dendy sold his land and business to William F. Ford of Malmsbury for £600 and shifted to Walhalla where he had an interest in a copper mine. He is buried in the Walhalla Cemetery. No trace of Dendy’s mill or house exists on the site today, but trees on the land could well have been planted in Dendy’s time. An avenue of trees leading towards the creek may have bordered the track to the mill. In 2013 our Society was involved in a project for digitisation of the Shire of Eltham Pioneers Photograph Collection. This was joint project with the Yarra Plenty Regional Library and was funded by a State Government Local History grant. It involved the digitisation of the historic photo collection established by Eltham Shire Council in 1971 and held at the Eltham Library. This project involved some 400 items and concluded the digitisation of the complete collection started earlier by the library. The project was co-ordinated by Liz Pidgeon from YPRL. The agenda item for our February 2014 meeting was a presentation comprising about 40 images from this collection. For our February meeting this year we will show a further 40 or so slides. Pictures will be selected for their visual interest or for the story that they tell. They will be a representative sample from the whole of the former Shire of Eltham, extending from Lower Plenty to Kinglake. Introduction and commentary on the pictures will be provided by Maureen Jones, Russell Yeoman and other members. Russell has been involved with the collection since its inception and Maureen has assisted with the recent project. It is hoped that the presentation will inspire comment from members on the photographs or more broadly on their subject matter.